No, there’s no chocolate in it but it’s a must for a good pot of gumbo. 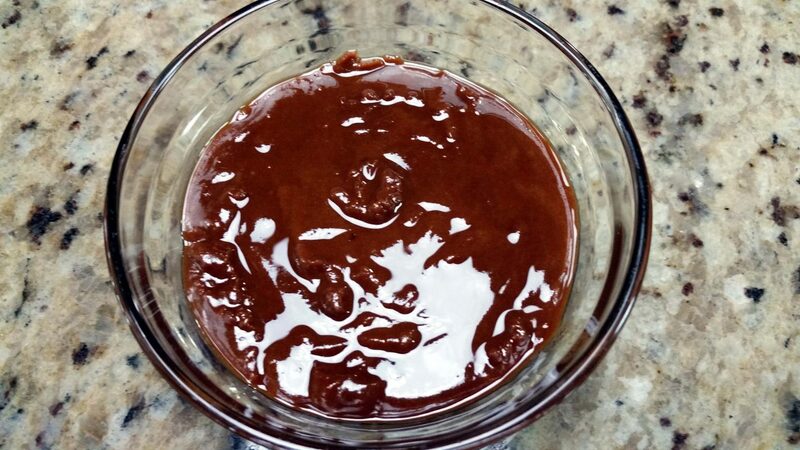 Chocolate Roux is used for thickening liquids and chocolate simply refers to the color of the roux. It’s also good for making gravy. Just add it to some beef stock. Making this roux takes a little patience but is well worth the time you put into. It’s not hard to make, you just can’t rush it. This roux can be made ahead of time, divided into small containers and stored in the freezer. When you finish your first batch, try it in my Chicken and Sausage Gumbo. 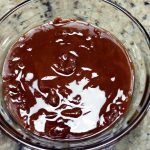 Chocolate Roux is used for thickening liquids and chocolate simply refers to the color of the roux. A must for a good pot of gumbo. 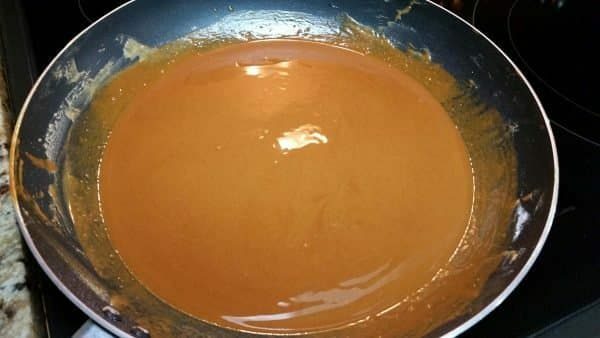 Stir in the flour and continue to stir until your roux is a caramel color. 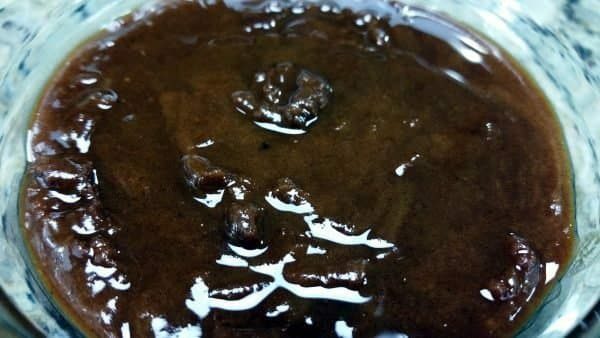 Lower your heat to medium low and continue to stir until your roux is the color of dark chocolate. Add the desired amount to your recipe and divide the remainder into small containers to freeze for future use.